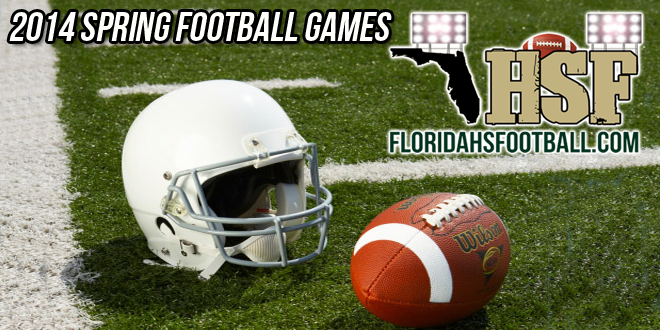 Football season might be over, but Spring Football will be here before you know it and Florida HS Football is once again bringing you an entire list of Spring Football Games & Jamborees right to your fingertips. Spring Football starts on Thursday, May 1, 2014 and will conclude on Saturday, May 31, 2014. Teams are allowed 20 practices with one game or jamboree counting towards the 20 practices. If you know of a game that is not on this list, please email us at football@floridahsfootball.com with the details.